ezine,magazine and e zines,free ezine: November 15, 2004 Issue! Let me continue from where I left off in the last issue. i.e. about increasing your website conversion rates. Tactics to convert visitor into a customer. 1. The power of 'because': Potential customers needs reasons ...any reasons for why you are doing something! So always use the word 'because'. Studies proves that customers tend to act faster if you use the word 'because'. For e.g. I agree to receive the Homebiz-Tips E-Mag & Notifs because I can unsubscribe any time. 2. Multiple payment options: Ever since I have added PayPal and Stormpay as additional payment processors, my sales have doubled. If you are currently using only one payment processor, consider using these too. It's easy to set up. 3. Power of PopUps: No matter how you or I feel about them, tests have conclusively proved that PopUps get results! So always include balanced PopUps. Even better, use a 'Hover Ad or Slide-in Ad' that cannot be blocked by blockers. 4. Free gift is better than discounts: An additional gift produces more sales than a price cut! So instead of a straight discount give a free gift. If you can offer both at once -- it's fantastic! More tips in the coming issues. Enjoy!
" How to harness the power of your subconscious mind and your computer to create whatever you want in your life!! Everything You Want Appears -- Seemingly Out of Thin Air! can help you (and me) improve the quality of our life. Well, let me to encourage you to check out an extremely valuable resource. 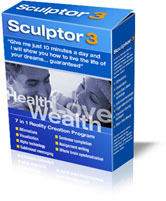 can help you to produce some amazing results. in India and the scientific approach of the westerner. to check out this program. bonuses that alone are worth the price asked for the whole thing. For e.g. you get the audio version of the classic Wallace D. Wattles book, "The Science Of Getting Rich". So now you can listen to these priceless teachings every day while working with your computer!
" Ma^ke 10,000 in 48 hours"
" E-arn 5,000 in 3 days"
60% of the emails that I receive are coming from spammers... and sometimes it is very difficult for me to distinguish between emails from my clients and those from spammers.
" Joint-Venture Proposal", "Urgent Messages", etc. I wont even read it, as I personally believe that it has come from someone who would like to send me a virus, or who would like to s-pam me with "unsolicited email". Worse, as a "Block" button starts to become available, I may easily block your address so that I no longer receive emails from you. People have a habit of opening emails that they receive from their friends, family, clients, and 'warm strangers'. Most of the emails with these two subject lines above, will definitely go into the spam inbox, because I didn't recognize who you are, and what your intention is. I am concerned that you may be trying to spread a virus into my computer.
" Henry, please review my JV Proposal..."
" Henry, let's work together..."
2. Include your name in the "From" field. I notice that some webmasters still use the word "Webmaster" in the "From" field. This makes it very difficult for me to distinguish between you and other webmasters, who email me all the time. I may or may not open your email. At present I have at least 50 people in my mailbox who use "Webmaster" in the "from" field. Please put your "Full Name" in the "From" field. As I mentioned in "1" above, I may have a problem with my memory! That being so, you need to refresh my mind as to how you found me, before I click my mouse to delete your email.
" Hi Henry, this is Michael Wong, the guy you chatted with in JV Seminar." It's as simple as that if you want to make me listen to you further. As soon as you tell me where you found me, you simply tell me who you are.... so you keep me alert all the time. I am a subscriber of your "E-GoldNetter" Marketing Newsletter. I would like to find out if we can work together. 5. Don't use bold or color when sending email. Many marketers are working in front of their computer for 10 - 12 hours a day. Sometimes, it is very difficult to distinguish between red and green and if you use bold or even big fonts when sending a letter to marketers, they will feel that this letter is not sincere and will delete it. Be sure you use just a regular font, with a nice neat format when writing email messages, especially when you're sending this letter to marketers who are receiving upwards of 50 - 100 emails per day. Henry Gold's new site consists of: 337 Resale Rights Packages, 54 E-book Bonus packages, 161 Software PRO, 23 Extra Packages, 2,000+ Special Reports. Visit immediately and grab it all! #1. Click Magnet Ad Generator: With the Click Magnet software you will be able to place unobtrusive, unblockable Ads on you website with ease. And your Click Magnet ad stays with your visitor as they scroll down the page. The beauty of click magnet Ad is that it instantly draws attention to your offer! Your visitor can't help but look at your ad, It follows you as you scroll down, cant be blocked by any PopUp blockers and it's not intruding! #2. Float-In Window Generator -2004 is added to our site and its not only an instant hit but continues to top the sales! 1. 7 Part Affirmation Course - : You have the power to create whatever you want in your life. This power is with in you and can be released through the practice of affirmations. I strongly believe that the universe operates as an energy system, in relation to affirmations and the thought process. And positive affirmations has the power to change your reality. Here's an excellent eBook that is practical and can be used in everyday life to manifest what you want. Well. That sums up the last first fortnight of November-2004. Do not Forget To Rate 'HomeBiz-Tips'. Your valuable vote helps us to improve this E-Mag as well as allow us to keep it Ad-Free.